The intuitive way to carry your 12" Macbook. The Carry-On Sleeve is designed with easy travel and portability in mind, minimizing the need for any other daily carry essentials. 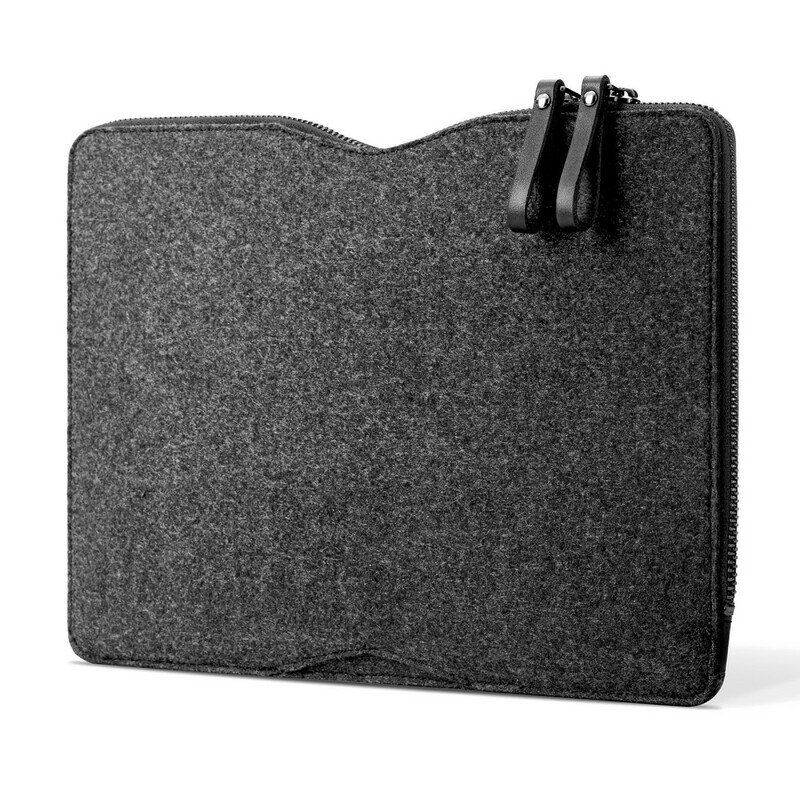 The new leather folio sleeve has a striking look that emphasizes the lightness of your 12” Macbook. The sleek lines and top class materials work in your private and professional life. This folio sleeve is made to last. Mujjo's signature full-grain leather, combined with wool felt lining, provides unrivaled padding with a soft touch. The carry-on handle provides an intuitive way to carry your Macbook. A strong visual signature, the handle comprises two layers of 2,3 mm leather for enhanced strength. Gun-metal rivets and double stitches ensure durability for years to come. A high quality gun-metal YKK zipper extends through 3 sides of the sleeve. This creates a spacious U-shaped opening along the horizontal and vertical sides of the leather folio, which allows you to insert and remove your Macbook effortlessly. Integrated a leather card pocket inside the sleeve holds few essential bank-sized cards, like debit, credit and ID cards.